For those who had $5K in the piggy bank there should now be $2500 or so left over after fitting tyres, suspension and a snorkel in part 1 of our potential maximisation guide. 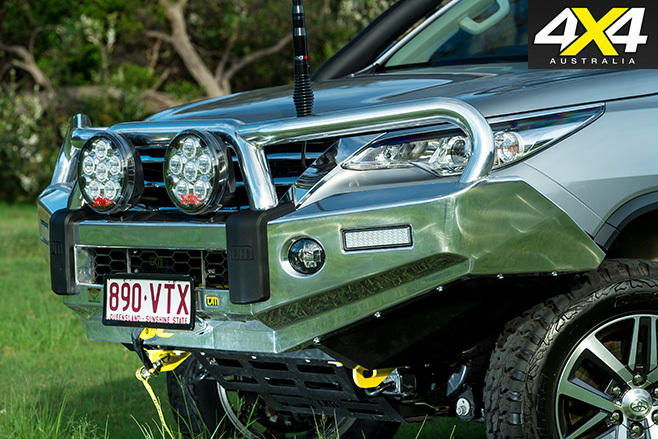 It’s now time to start equipping your vehicle with some protection equipment, and the obvious place to start is with a bullbar. 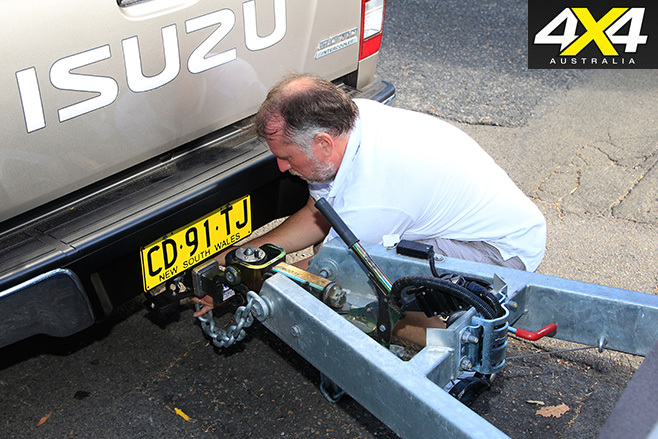 Whether you’re going to use your vehicle for outback touring, weekend rock-crawling or towing a trailer, a quality bullbar is an essential piece of equipment for anyone travelling outside city limits. The three basic choices when it comes to bullbars are plastic (polyethylene), alloy and steel. Each have their merits and there are many designs and styles. Plastic bars suit vehicles driven regularly in urban areas and it’s claimed that they can reduce the risk of injury to pedestrians. 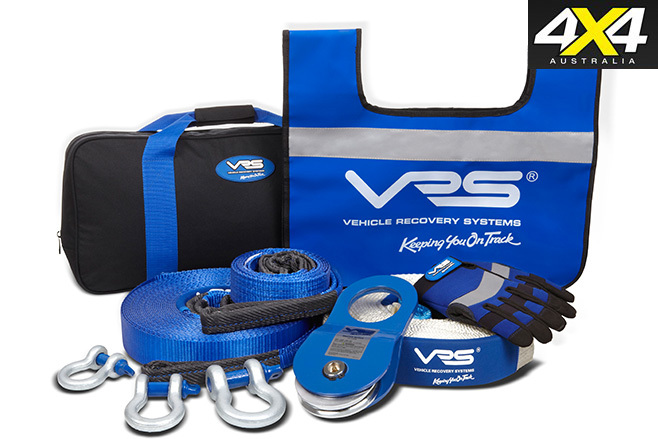 They’re also engineered to regain their original shape after impact, but they simply won’t offer the protection afforded to the vehicle by an alloy or steel bar. Alloy bars are much lighter than steel but are not as strong. A well-designed and engineered steel bar will offer the ultimate in protection, but it will be the heaviest of the three options. Assuming you’ve chosen your suspension wisely, this weight penalty won’t present a problem. Regardless of the material chosen, you should ensure the bullbar attaches directly to the vehicle chassis and is airbag compatible. There are a variety of designs available including tubular rock-crawler styles that offer plenty of approach angle (but less protection), bars with no hoop sections, bars with a single hoop, and traditional bullbars that afford maximum vehicle protection. Prices vary wildly, but factor in at least $1200 for a decent bullbar and then add up to $900 for brush bars and side rails or rock sliders. of b If touring is your thing then the aforementioned bullbar, brush bars and side rails will cost a couple of grand, leaving you with just $500 or so for a set of driving lights. In this price bracket you can pick up a pair of quality HID driving lights or some budget LEDs. Alternatively, you could opt for an LED light bar and have enough cash leftover to buy yourself a decent 80-channel UHF radio for vehicleto- vehicle communications. Brush bars and side rails will not be as much of a priority for rock-crawling enthusiasts as an electric winch. These days there are plenty of cheap winches on the market, but assuming you’ve spent $1200 on a bullbar then you’ll have $1300 leftover for a winch. It’s worth spending the rest of your budget on a quality winch because this is one piece of equipment you don’t want failing when you really need it. If you use your four-wheel drive predominantly for towing, then a decent rear-step tow bar will be more of a priority than brush bars/side rails and a winch. Factor in at least $500 for a basic steel rear bar with a tow hitch, and up to $1500 for something more stylish. Much more than a tow hitch, an aftermarket rear step tow bar will improve ground clearance and protect the rear of your vehicle when exiting offroad gullies or dropping off rock shelves. Some models also accommodate parking sensors and reversing cameras. 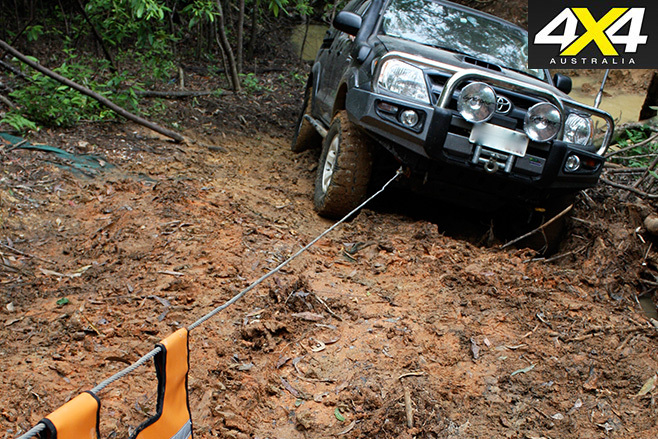 If an electric winch didn’t make it on to the shopping list and you’re likely to be driving off-road by yourself, then a pair of recovery tracks ($200+) will prove an invaluable addition to your basic recovery kit. A decent hand winch is also useful, but at $500-ish they are almost as expensive as some of the cheaper electric winches on the market. *Prices vary depending on quality, manufacturer and model. This list is a general guide only. Узнайте про авторитетный портал с информацией про https://avtovoz.co.ua.